The Mercury’s Parth Sampat, Sports Editor of University of Texas at Dallas student newspaper, reports that with a $3 million grant from the Texas-based global semiconductor design & manufacturing company Texas Instruments, Dr. Robert Rennaker, director of UTD’s Texas Biomedical Device Center, is expecting to unveil a prototype system the center has developed to better detect concussions by Feb. 28. The UTD Center for BrainHealth, a scientific research institute dedicated to understanding, protecting, and healing the brain, launched the BrainHealth Institute for Professional Athletes in 2011 to comprehensively address brain health issues associated with sports-related concussions and traumatic brain injuries, while providing long-term follow-up and brain repair training. It serves as a research hub to comprehensively address brain health issues related to sports-related concussions and traumatic brain injuries. The goal of the Institute is to detect debilitating long-term cognitive and emotional disability in players while also expanding a program of comprehensive brain screening, longitudinal follow-up, and brain repair training that includes a unique focus on sports head injuries. The goal of the institute is to provide players with a personalized understanding of their current neurologic and cognitive status and manage any needed treatments.ed to minimize fear and empower players to take control of their personal brain health. 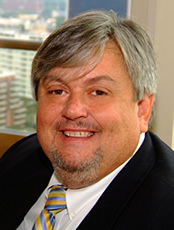 Dr. Hart, a Johns Hopkins-trained neurologist who holds the Jane and Bud Smith Distinguished Chair and the Cecil Green Distinguished Chair at The University of Texas at Dallas, is also a Professor of Behavioral and Brain Sciences with a joint appointment in the departments of Neurology and Psychiatry at The University of Texas Southwestern Medical Center at Dallas. 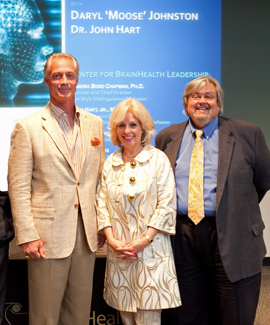 Dr. Hart is also President of the Society for Behavioral and Cognitive Neurology and the Behavioral Neurology Section of the American Academy of Neurology, and one of the world’s foremost experts on how you store and access knowledge in your brain, known as semantic memory. In 1985, Dr. Hart was the lead author on the seminal paper published in the prestigious journal Nature that established that knowledge is stored in the brain by categories. This was followed by a second major finding published in Nature showing that features and categories are the storage units of knowledge in the brain. In 1998 and 2002, two more major discoveries were published as Track II articles in Proceedings of the National Academy of Sciences (USA) that showed the actual time it takes in the brain to recall an object memory, and Dr. Hart’s key discovery of the actual mechanism of how the brain combines parts of memories together to form an integrated object memory. 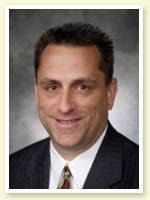 He and his collaborators have used this fundamental finding to assess patients with a wide variety of disorders, including normal aging, dementia, Alzheimer’s disease, mild cognitive impairment, traumatic brain injury, attention deficit hyperactivity disorder, Post-Traumatic Stress Disorder, Gulf War Syndrome, and schizophrenia. The findings in these studies will lead to targeted treatment interventions for semantic memory retrieval problems in these diseases. 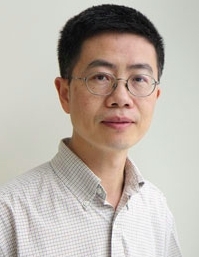 In addition, the work that he has performed in knowledge storage will be applied to children with difficulties in this area (e.g., autism, ADHD, TBI, and others) and in developing optimal programs for use in educational systems. The BrainHealth Institute for Professional Athletes also monitors brain changes to trigger timely treatments, build resilience and maximize brain repair to mitigate the long-term effects of concussions experienced by retired players. Former Dallas Cowboys player Daryl “Moose” Johnston and LeeRoy Jordan, along with James B. Francis Jr., are chairmen of the Institute’s advisory board of the institute. 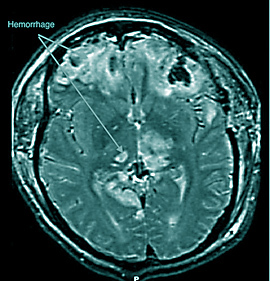 The Institute’s assessment and treatment plan for retired players includes a benchmark of cognitive abilities — including attention, memory, reasoning, problem-solving and speed of processing; MRI brain scans to document structural brain changes linked to injuries and changes associated with brain repair; brain training to restore as much cognitive function as possible; physical training to prevent cognitive decline and improve memory function in those with deficits; and, remote monitoring to examine lasting effects of sports brain injury. The institute “is a reflection of the way BrainHealth strives to improve the quality of life among those who face challenges,” says Dr. David E. Daniel, UT Dallas president. “We’re pleased to see this partnership developing between the center and the athletic community.” The study on concussions is critical as there is a growing concern about repercussions of repeated head injuries among families of kids who play high school and college football. The Mercury’s Parth Sampat cites a study conducted by ESPN’s Outside the Lines that found participation in America’s largest youth football program, Pop Warner, drop 9.5 percent from 2010 to 2012 — a sign that the concussion crisis that began in the NFL is having a dramatic impact on youth sports. Sampat cites UTD Center for BrainHealth director of pediatric brain injury programs Lori Cook noting that a myth about concussions is that an individual must be knocked out or lose consciousness to have one, saying that in fact patients lose consciousness in just 10 percent of concussion injury cases — a popular misconception that may contribute to why a huge percent of concussions go undetected, and why in an athletic environments, where athletes frequently fail to report concussions. the onus is on the athlete’s teammates to ensure that the player is capable of playing, and if they notice something wrong report it, because athletes who return to the game could possibly sustain a second concussion. The main focus of the research is to understand the type of hits that lead to a concussion, to ensure early and correct detection, “So, how I get hit matters,” Dr. Rennaker notes. “If I get hit and my whole body goes forward or if I get hit and my head goes back relative to my body, that may be a completely different energy. So, what I need to know is the head’s position relative to my body,” explaining that the head’s position relative to the body is the essence of understanding how forces of an impact are translated to the rotation of the brain relative to the spinal column, and the ability to measure this is what separates this system from those available in the market. The Mercury’s Sampat notes that the system designed by Robert Rennaker and TI includes an S-shaped device that attaches to the athlete’s head, a magnetic reader for understanding the severity of the hit and a special pair of goggles for testing. The S-shaped device includes multiple sensors to measure the frequency, the force and the direction of impacts measuring up to 200 g-forces. “So with two sensors, I can measure the relative rotation and acceleration of the head to the body,” Dr. Rennaker observes. After an impact, a trainer can wave the magnetic reader over the device, triggering a green or red light. A red light indicates that the hit was severe and that the player requires further attention. The injured player would don a special pair of goggles — the ‘neural triage’ component — with cameras, which will conduct several tests with visual stimuli. Any change in the brain’s response with the baseline recorded before the start of the game would indicate whether the hit was a serious one. Rennaker is going to collaborate with Dr. Hongbing Lu, associate department head of mechanical engineering, to test the device on a test bed. The bed will be able to accelerate the device up to 200 g-forces, the maximum force a player can face on impact, and do rotational acceleration. After the bench test, the device will be sent to a national lab and an independent lab to validate the recording of the device. After approval, the device will be tested on some high school sports teams. Mr. Sampat reports that Dr. Rennaker expects validation of the device to be done by the end of the summer, but that correlation of impacts to the head with neurological injuries is expected to be a two- or three-year study. “We are going to try to instrument as many kids as we can,” Rennaker commented. “We are trying to talk to University of Iowa again to instrument them this year, as we did them last fall.” Sampat says Dr. Rennaker has also approached the FC Dallas U-18 soccer team in a bid to equip them with the system. He said he hopes to talk to the NFL in a year to set some of their players up with the system, which he hopes will cost less than $100 per unit.